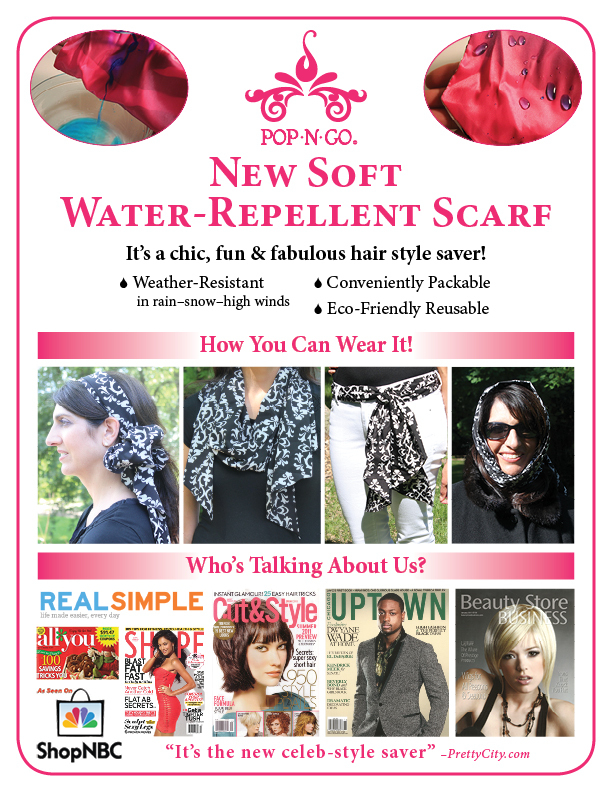 The Pop-N-Go Beauty Rain Scarf is back by popular demand. 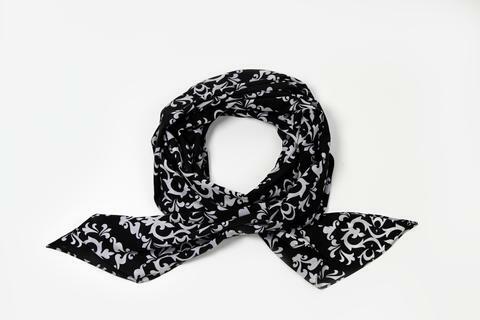 Pop it around your neck or purse then pop it over your hairdo if you get caught in the rain. Dimensions: Approximately 19 x 72 inches.